1 serving is equal to 1 scoop. You might mix it with cold water or milk. Add ice cubes to make the shake more delicious. You may use 200-250ml. of liquid all depending on how concentrated you prefer the taste. The less liquid you use,the stronger the flavour will be. As explained earlier the amount of protein you need is depending on individual factors; your daily nutrition,training, weight etc. Most athletes seemto follow a high protein diet with 2-3 grams of protein per kilo body weight. For example if your weight were 75kg, you would need 150-225grams of protein per day. This is including the protein you get from food. This means that you would need to calculate how much protein youget from food, and the remaining amount could be supplemented by using this product. The most important serving is immediately after workout. Morning: 1-2 servings upon waking up –before or with breakfast. After workout: 1-2 servings after workout. Preferably mix with water to increase uptake rate. Night-time: 1-2 servings before going to bed. 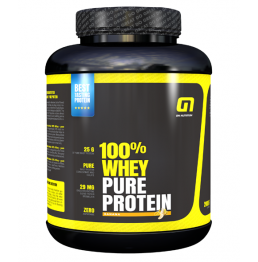 Morning: 1-2 servings of GN Nutrition 100% Whey – pure protein upon waking up – before or with breakfast. 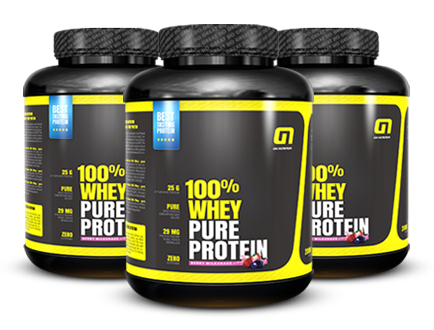 After workout: 1 serving of GN Nutrition 100% Whey – pure protein after workout + half a serving of GN Nutrition Recovery. You may mix them in one shake or take the one firstand then the other (preferable if the flavoursare not the same).